It’s funny how big a difference little details can make. 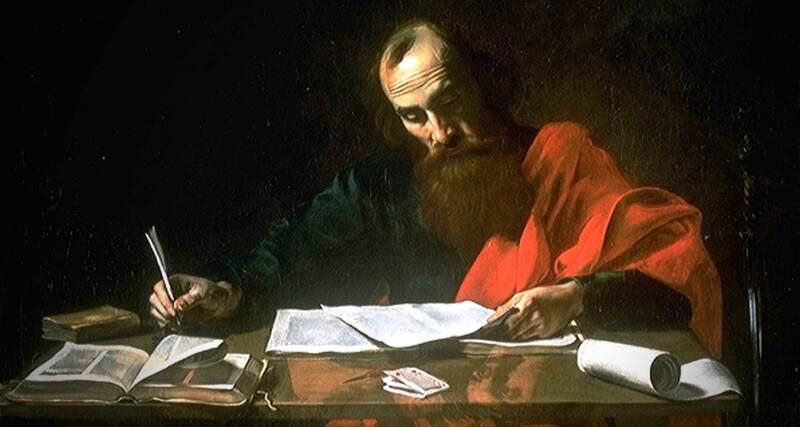 This week we pass along an observation about one such detail in the way St. Paul gets read. I chanced some months ago, I know not why or how, to scan the opening paragraph of First Corinthians in the King James Version. I can’t recall when last I read this—not the paragraph but the version. A tidbit jumped out at me. It got me excited enough to share what I saw. It also got me thinking that it’s way past time to blow the dust off my KJV and drag it back to the circle of translations I consult as a matter of course. Here’s why. The meticulous scholars who produced KJV so long ago grasped what every other translator is obliged to recognize, that turning Hebrew, Greek or any other language into acceptable English requires a frequent use of words that aren’t explicitly encompassed in the vocables of the original. Most every translator inserts this padding as a matter of course. By contrast, the KJV team was sensitive about it to the point of having all such words printed in italics so that ordinary readers could see what they were up to. Thus “God made the two great lights…: he made the stars also” (Gen. 1:16). Everett Fox’s 1995 translation, aiming for a strict consonance with the Hebrew, reads more simply, “God made the two great lights…and the stars.” The KJV’s repetition of the verb “made” is there solely for the sake of keeping the English mellifluous. And marvel of marvels, the scholars cared enough to let us know this. Comes the problem. 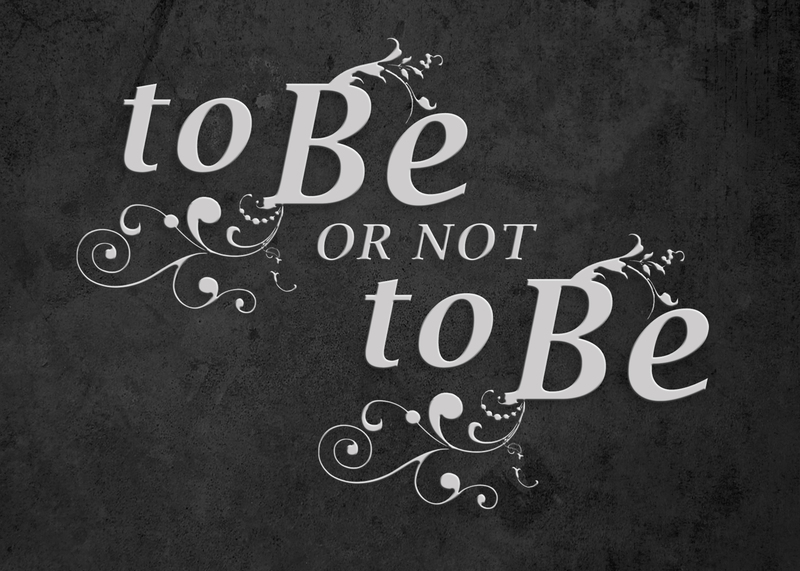 Now and then those extra words not only smooth the English, they also twist the meaning, if only by a hair or two; though even a couple of hairs is enough to cast a shadow on the Gospel. So much the worse when the shadow persists from one generation unto another as those KJV wordsmiths would have put it. Shadowed Gospel is less than Christ was crucified to enable us to hear. A case in point pops up in that opening paragraph of First Corinthians. Here are two phrases from it, reproduced in that authentic and useful KJV format. First, “Paul, called to be an apostle of Jesus Christ….” Second, “to them that are sanctified in Christ Jesus, called to be saints….” In both cases, notice the “to be.” This is KJV padding, freely owned as such. It’s also stubborn padding, persisting with a sole exception into every subsequent English translation I’ve looked at, scarcely any of which are likewise willing to fess up to it. No wonder I’ve always thought of saintliness or sainthood merely as things I’m aiming for. Contrast KJV and its progeny with that sole exception mentioned above, the recent and idiosyncratic translation of David Bentley Hart (The New Testament: A Translation (New Haven: Yale University Press, 2017)): Hart nails the Greek and gives us this: “Paul…called apostle of the Anointed One Jesus…” and again “to those sanctified by the Anointed One Jesus, called holy ones….” Not “called to be,” but just plain “called.” That’s what Paul wrote. It’s different than the other in a subtle yet significant way. It’s better Gospel. Muse with me. If I hear that I’m called to be a saint, I can’t escape the implication that I’m not a saint yet. Maybe one day I will get there. In the meantime, Someone waits for me to knuckle down and work in that direction. Am I altogether pleased by this? Does it cheer my heart? I don’t think so, at least not entirely. My shoulders do some sagging. By contrast, if I hear that I’m simply called a saint, I wonder what lunatic is out there saying this. When the answer comes back that the lunatic is God, then, if I have any self-awareness whatsoever, my jaw starts bouncing off the concrete in stupefied awe. If then I wonder what would move Almighty God to say such a thing, I ran smack into Christ with his holy (as in hole-riddled) hands and feet and side. “Come, Thomas, see the holes. Touch them. Get a grip on what they broadcast about your standing with God right now, in this very moment.” Perhaps the gobsmacked joy induced by this starts pushing me to live up to that saintly label I’m stamped with already against all reason and sensible possibility. Such a joy-driven response is doubtless what the onlooking angels, steeped as they are in the ways of God, expect to catch themselves noticing in me before too long. I can testify from personal experience that this little distinction makes a tremendous difference to a pastor’s view of the people he’s preaching to and serving. If, in keeping with that ingrained KJV tradition, he understands that these people are called to be saints, his eye keeps spotting the countless ways they’re falling short of the mark. He finds them disappointing, If, by contrast, he sticks to Paul and starts simply to call them saints—that’s who they are; thus saith the Lord—then he focuses instead on the countless ways the saintliness is seeping through their crusty sinner’s exteriors. They start to delight him. He begins groping for ways to egg them on as Paul does with those congregants of Corinth, than whom none ever have been more crusty. He grasps that his first and final task is not to batter them with law but to gladden them with gospel. And so he does, always pushing them to notice what the astonishment of their identity in Christ implies for the way they carry on with each other, to say nothing of how they approach their daily lives in the old decaying world of sin and death that all of us are stuck in. “Get a grip,” this pastor keeps saying. That’s current street English for “Don’t be faithless, but believing,” as Jesus said to Thomas. Such believing can be something as simple as an “Amen” murmured in response to another person’s “The body of Christ given for you” as she shoves a bit a bread in your direction. It can also be as wondrously wild as a martyr’s death. In either case, what’s being recognized and honored is the tag God slapped on you in Holy Baptism, identifying you as his own in Christ forever. That’s what a saint is, a person who wears the label, and whether she does so quietly or flagrantly is quite beside the point. And if everything else about her bespeaks a beggar in rags, this too is beside the point. God has spoken. Saint she is. “Treat her as such,” says the Spirit of the Lord. I wonder how the Church would look and sound if the saints who comprise it had the gumption to own and celebrate the identity they share. But more on this some other time.